There is something so beautiful about fall. Perhaps it’s the crisp chill in the air or the beautiful changing colors of fall foliage, but fall is one of my favorite seasons. Fall is the perfect season to enjoy some fun and frugal dates with your spouse! It is the perfect season for watching a gorgeous sunset, cuddled under a warm blanket, with a cup of hot chocolate in hand. So why not do that with your sweetheart? Date nights with your spouse are so important all year long. Some people like to use excuses like cooler weather or limited funds to as reasons why they don’t have date nights. 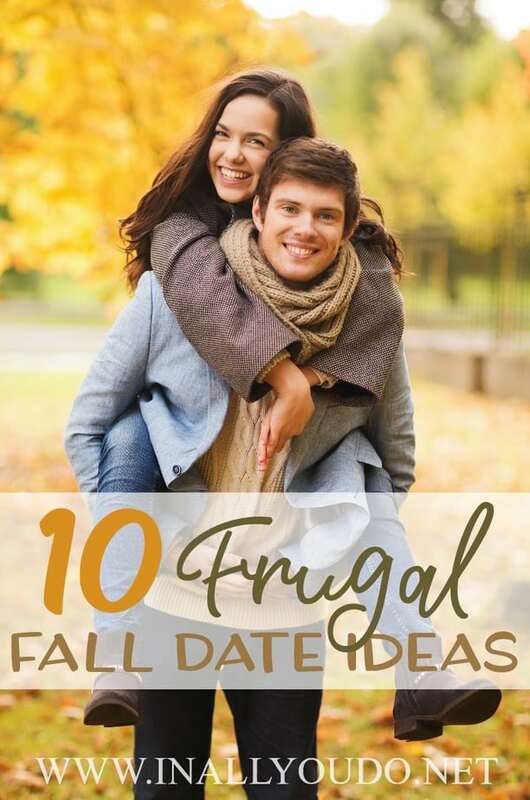 Here are 10 Frugal Fall Date Ideas that will change your mind! Do a little research and find an orchard near you. Many places only charge the cost to pick the apples, and you can keep what you pick! There is something about apple cider that just screams fall. After you pick all those apples on your apple picking date, why not try making your own apple cider together! I know you always think about taking kids to a pumpkin patch, but it can be fun to go with just your spouse too. Enjoy time walking around together in the cool, crisp air. Pick out a pumpkin that you can carve together. Or gather some other fall themed items (gourds, maize) and create your own decorations. Go early and grab a pumpkin to carve together. 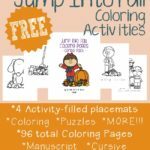 This can be a fun way to get messy and create something awesome for the fall season. Plus after you clean it out, you can roast the seeds for a nice snack! Go for a drive, or find a place nearby that has a killer view! This time of year is so beautiful that it is sure to set the mood for a romantic evening. And don’t forget to catch a fall sunset too! Find a fall festival or local fair in a city near you. Many of these attractions have little to no cost to enter. If there is a fee to enter, it can still be fun to just walk around the fair or festival even if you don’t buy anything. Usually, there are even some free attractions that don’t require a ticket. During the fall it’s a perfect time to go hiking! The weather will be just right, and you can check out some great views while you’re at it! Whether it’s your local high school team or a local college, watching a football game can be a fun way to get outside and enjoy a sports game. If you don’t want to actually attend the game, sitting around with friends for a tailgate and making your own food can be just as fun. When was the last time you went camping without the kids? Go on a camping trip just the two of you for a change! Find a great spot with free camping and enjoy a few days without the kids if you can swing it. If not, camping in the backyard can be just as fun! Whether it’s in your backyard or at a place with a great view, grab a few blankets and some hot chocolate and snuggle up under the stars. The clear, fall nights are the perfect combination with the cooler air. 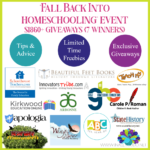 Check online to find out if there are any special nighttime events (i.e. meteor showers, lunar eclipse, etc.) to catch while you’re out. Dating your spouse is an important part of staying connected. Fall dates don’t have to be expensive. 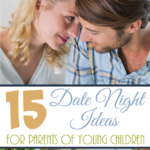 You can enjoy some of these date nights with your spouse on a very tiny budget. 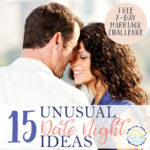 Make your date night even more fun with these FREE Date Night Conversation Starters! 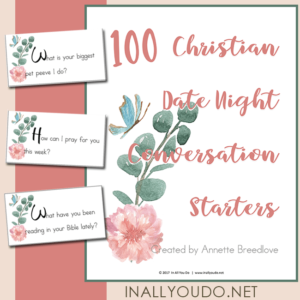 To download the Date Night Conversation Starters, simply add it to your cart and then checkout. **Upon checkout, you will be added to my Weekly Newsletter list.